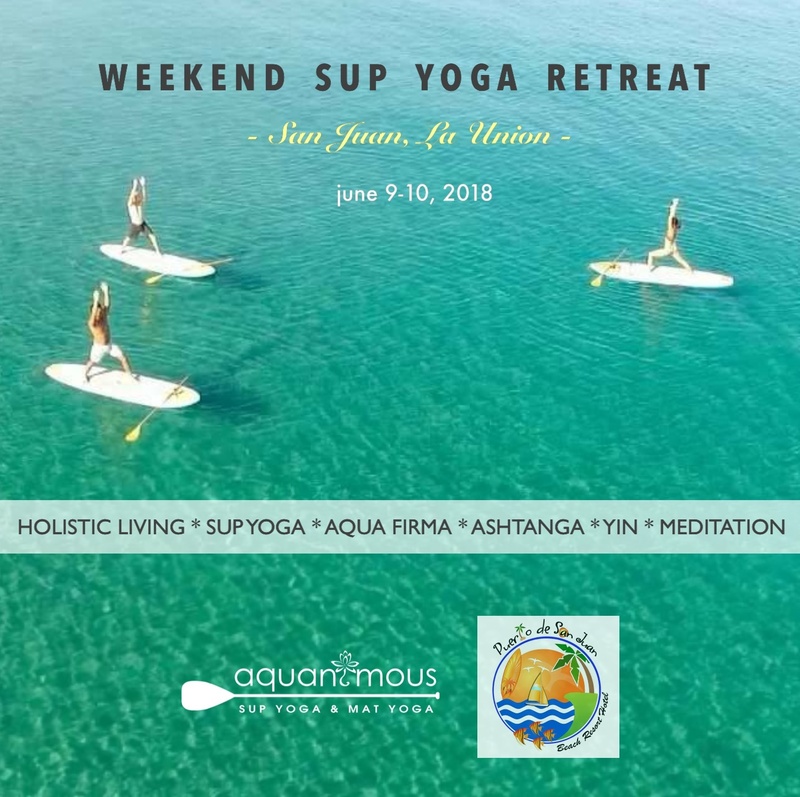 Ride the wave of your yoga practice and become one with nature in Surf Town, La Union! Your weekend get-away in Puerto de San Juan Beach Resort Hotel is a perfect space for your yoga vacation where wellness, fun and relaxation come together. Unwind and enrich your spirit with sunset and sunrise yoga and meditation lessons with Lalah de Dios of Aquanimous Yoga. Nourish and balance your mind and body with healthy and nutritious meals & drinks. Cultivate new friendships and commune with like-minded souls in a safe and relaxed environment. This one-of-a-kind experience also comes with a FREE workshop on holistic living with Mr. Sumit Kumar, a holistic health consultant from India. He will guide you on how to jumpstart a healthy and holistic lifestyle, and how you can apply the lessons of yoga in your daily life. An ideal weekend retreat not too far from Manila. Round trip transfer is included: Manila-La Union-Manila. Our main activity center and accommodation, Puerto de San Juan Beach Resort Hotel, is located at the heart of San Juan town. Experience the laid back ambiance with fully-equipped rooms and relaxing massage in the comfort of your suite. Enjoy touring around the spacious grounds or visit the Chapel. Let their Bar & Grill Restaurant fill you up with satisfying meals and snacks. Their friendly and courteous staff are always available for you. *All rooms are fully air-conditioned, has cable-ready tv, private toilet, hot & cold shower and Wi-Fi. 1) Full payment must be settled on or before May 25, 2018 to secure a slot. 2) “First come, first served” basis. 4) NON-REFUNDABLE but transferable to another person.